The more frivolous the subject, the more fervently people will argue about it. This is especially true about fitness. People get so bogged down in the details that they miss the important overarching concepts – the forest for the trees. —"What's better, 5 reps or 4 reps? 6 reps or 5 reps?" 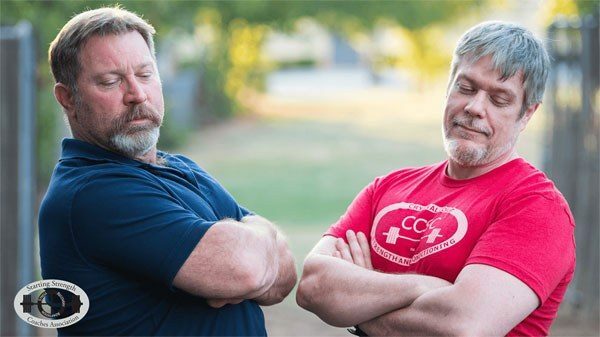 —"Should I do 71% of my heavy day for my medium day squats or 73%?" —"Do I drink my whey protein shake 2 minutes after my workout, or is it ok if I drink it 2 hours after?" Should I squat 4 reps or 5 reps per set to get stronger? Should I squat or run to get stronger? One of these questions is far more fundamental and important to the goal of acquiring strength than the other. 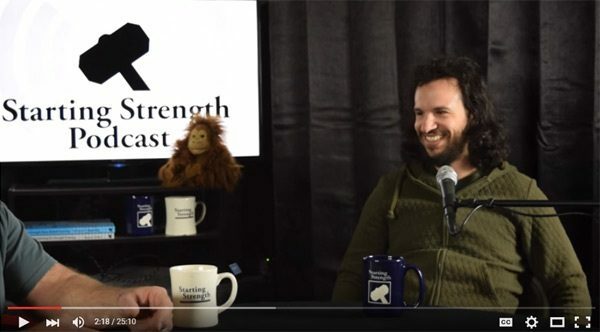 In this article, I'll talk about the hierarchy of variables in strength training so you can keep your focus on the important concepts without getting paralyzed by the details. A method without a goal is nonsensical, so a goal must be established to figure out what's important and what’s not. I'll use the goal "increase strength" – strength being the ability to produce force against an external resistance. 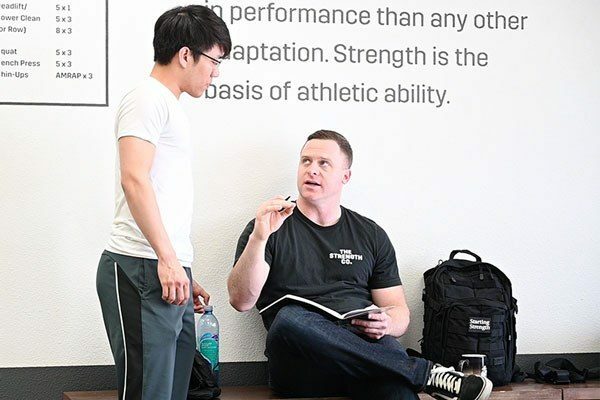 The overarching concepts governing this goal can be simplified to 10 variables: consistency, technique, exercise selection, load intensity, rep range, recovery, intra-stress/adaptation/recovery (SRA)-cycle load increment, warm up, intra-set rest, and tonnage/set-rep volume. Tonnage: the load of the work sets multiplied by the total number of work set reps performed (for example 3 sets of 5 at 300 lb is 4500 lb of tonnage). “Volume” – the total number of sets and reps – is a related variable. It is important to realize that within these variables lie the details: inside a rep range exists the specific number of reps – 4 is not the same number of reps as 5, but they are both in the "medium" range. Diet and nutrition exist within recovery. Within diet lies caloric surplus, caloric maintenance, and caloric deficit. Inside caloric surplus is a high-fat diet and a low-fat diet. It's readily apparent that you can quickly drill down into the overarching concepts and find detailed and contentious variations. This can quickly become overwhelming. But take a step back and look at the big picture – some of these overarching concepts take precedence over others if the goal is "increased strength," in that they must be satisfied first. And note that as we ascend through the tiers, the next one up is dependent upon the one underneath, in that the next tier up is essentially irrelevant if the one beneath it is not under control. With that in mind, I propose the following hierarchy to order our priorities. These 3 criteria lead to the squat, the standing overhead press, the deadlift, and the bench press. For their range of motion, the heaviest weights have been lifted with these exercises. They can also be improved for decades. They provide the best way to stress the body in a meaningful way and are safe for all ages. Obviously, other exercises are important, but as with the hierarchy of strength training variables, there is a hierarchy of exercises. The primary barbell exercises are the foundation, with assistance exercises less important, and ancillary exercises less important than those. These details come much later in a trainee's development, and as the trainee progresses more and more, these details must be controlled and incorporated more and more carefully. 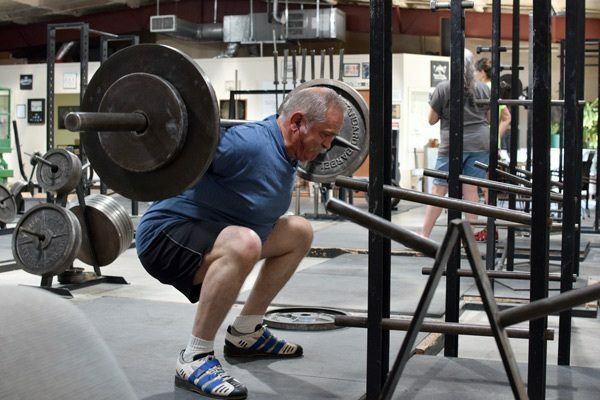 For most people, the squat, the press, the deadlift, and the bench press are really enough. Even for the more advanced, these 4 exercises should be the cornerstones of the training program. Time is a luxury, and it should not be wasted on exercises that are ineffective or even counterproductive. Each of the 4 exercises can be performed in a variety of ways. However, an optimal model of each exercise exists, and the performance of each rep should not deviate from that model (see Starting Strength: Basic Barbell Training for details). Theoretically, each rep should be identical in every way to the model. Deviation leads to lack of control and potential injury, as well as a halt in progress. This may not occur when the weight is relatively light, but the closer the weight is to maximal, the less deviation from the model you can tolerate before the rep cannot be completed. For some reason, everyone knows technique is important, but its practical application is widely underrated. Don't be this kind of trainee. Finally, once the program is constructed, deviation from that program should not occur. A standardized process that is not complied with cannot be effectively gauged, because a process not followed cannot be assessed. This is true of steelmaking, cat rearing, and strength training. Consider cutting firewood. If you chop at a log with a maul with no attempt to do the same thing each time, how are you supposed to notice that one method works better than another? Furthermore, if you don't notice the effective patterns, how are you supposed to improve your log chopping (faster, easier, etc.)? It should be readily apparent that you can't, regardless of the prior theoretical analysis you apply. The same is true of strength training. Without complying with a pattern, there is no control. Without control, hypothesis testing cannot occur, and you can't update the pattern to improve efficiency. The important feature of the Tier 1 variables is that until they are under control the Tier 2 variables are unimportant. If you don’t train consistently and squat below parallel, your sets and reps are rather academic items. 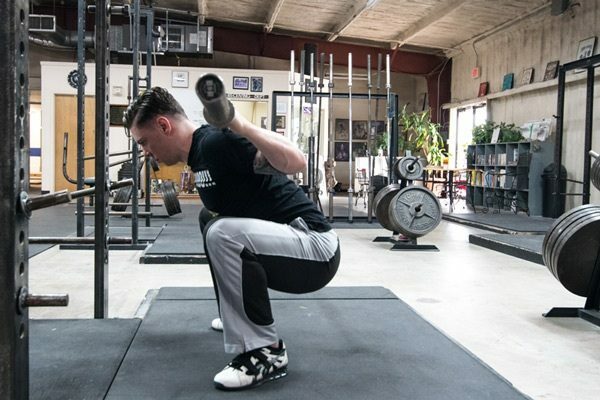 Once the consistency, technique, and exercise selection are carefully selected, more classical programming elements come into play. 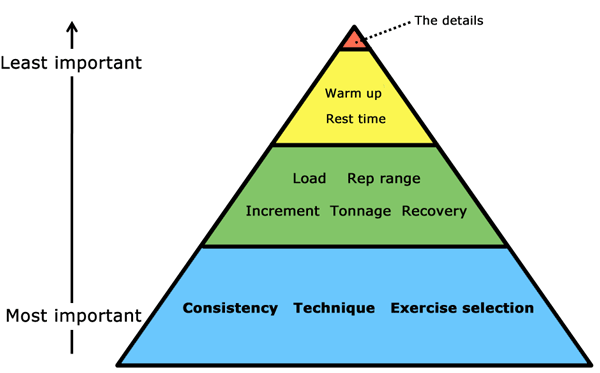 The load, recovery, incremental increases between overload events, tonnage, and rep range become important. Just as with the exercise selection, these variables have their own hierarchy, and are more goal-dependent the more specialized the goal becomes. Again, for our purposes, I'll assume you want to gain strength. This tier is also where the criteria start to become dependent on one another; it's simply physically impossible to choose a high rep range, a high load, the resulting high tonnage, along with limited recovery and big incremental increases. This is where trade-offs come into play more obviously. The rep range should be medium (4–7 reps). This constitutes an excellent compromise between load and volume. Note that I didn't say "sets of 5 reps," because unless you have the other variables optimized, it doesn't matter if you do sets of 5 or 4 or 6. However, it does matter if you choose to do sets of 16 instead of sets of 4. Higher granularity is saved for a more ordered house. Load, recovery (diet and sleep), increments of increase, set/rep volume, and rep range have already been figured out. We know that 3 sets of 5 for the squat, standing press, and bench press and 1 set of 5 for deadlift works well. 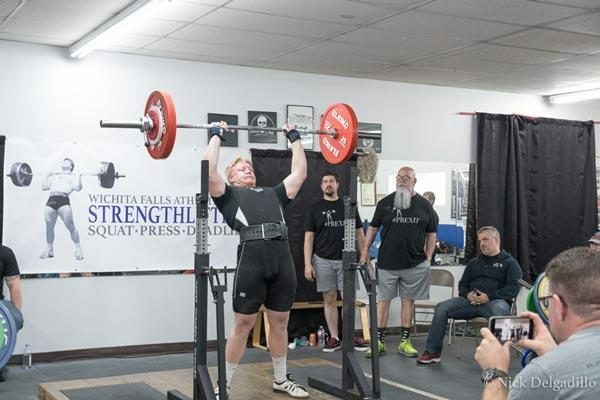 Add weight to the bar every workout paying attention to the increment. 10 lb increments might work for a week, but it'll have to drop to 5 lbs or even 2.5 lb soon after. You should be sleeping enough; you know what works well for you, so just do that and add an hour or two. You should be eating enough to facilitate recovery. That might be 2500 calories and 140 g protein. It might be 4000 calories and 200 g protein. And this is going to be hard to swallow, but it might be 7000 calories a day. It just depends on the trainee. I can't tell you how many times I've talked with boys at the gym who weigh 160 pounds, have everything figured out (sleep is good, rest time is good, they're consistent), but they don't make progress and grind themselves into the ground because they refuse to eat enough to recover. You don't get strong from lifting weights. You get strong from adapting to lifting weights, and you adapt by recovering from lifting weights. This is the 3rd tier, but that doesn't mean these concepts are not critically important. To the contrary, warm up and rest time are pivotal in making progress. If you don't warm up, everything feels tight and hard. If you warm up too much, you’re fatigued. If you don't rest in between work sets, you won't be able to do the next work set. Again, the Starting Strength linear progression provides an excellent starting point for both of these variables. For warm up, do 2 sets of 5 reps with just the bar, followed by a set of 5, a set of 3, and a set of 2 at loads evenly spaced from the bar weight to the work set weight. The rest time in between these warm up sets should be minimal, but once the first work set is over, you should be resting longer in between sets. Does it need to be 5 minutes or 7 minutes or 5 minutes and 11 seconds? I don't know, but 1 minute isn't long enough, and 5 minutes is a good starting place. If you aren't resting long enough, you will notice a halt in progress quickly – you can't increase the weight and still hit all the reps. If the tier 1 and 2 elements are in order, you're probably not resting long enough. The details in the final tier are the least important of the hierarchy. If the basic training concepts aren't generally good, the details don't matter. For example, if you're considering doing sets of 4 instead of sets of 5, but you aren't deadlifting, you're not seeing the big picture. Take a step back and re-evaluate at the level of the entire hierarchy, not the details. Once the basic structure of variables has been controlled with the hierarchy in mind, then you can dig into the details and try to optimize based on those. Based on the triangle, it might appear that I'm proposing that Tier 1 should be analyzed and then integrated over the course of time, then the next tier, and so on. This is not so. Before you start a program, think about these 3 tiers, make some logical decisions based on your understanding, and start. Don't get so stuck in the details that you don't even get started or train consistently. Keep these central details in mind when (not if) you have to start making tradeoffs. It is also important to note that all of these are intertwined. If you don't warm up correctly, you'll be less likely to achieve a higher load than if you had. If you recover correctly, you're more likely to be consistent in your training. Compliance is inextricably bound to ability. The more carefully you set yourself up for success, the more likely you will be to do the correct things. This requires an appreciation for the relative importance of all the training variables that make up your program.